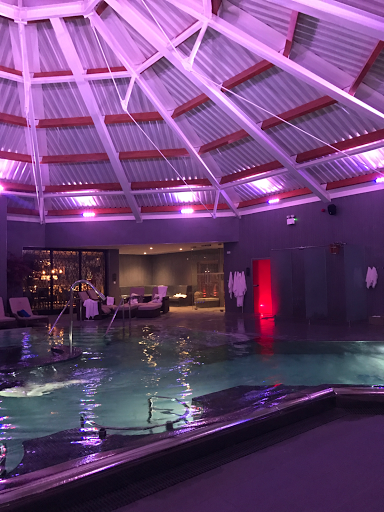 It's a hard life when work involves indulging in Fusion food and relaxing in an outdoor heated pool, but someone has to do it. 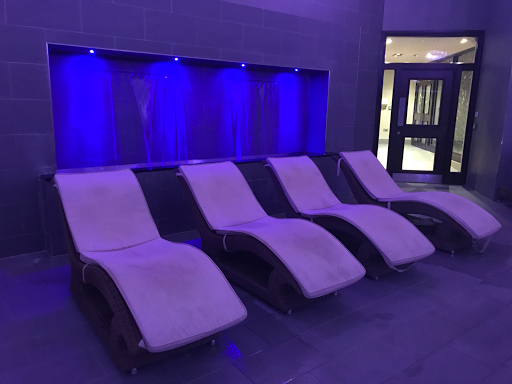 Last week myself and some of the other North East bloggers headed to Spa at Ramside to see what they had to offer, the Spa can be found on the grounds of Ramside Hall. 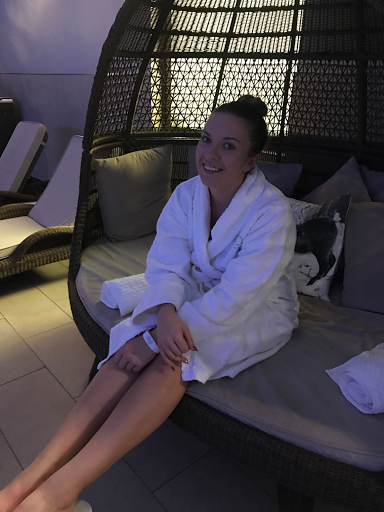 This was a dream come true for me, I have been desperate for a spa day and haven't had the chance to chill out and relax since late June. 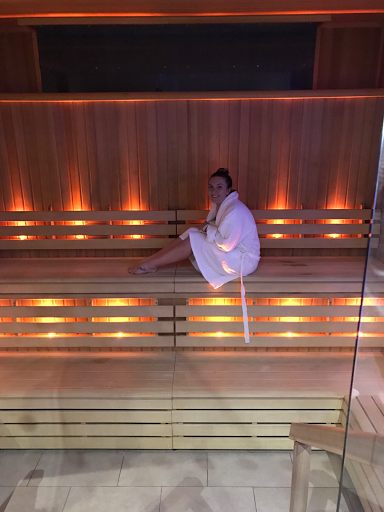 The idea of the evening was to see what facilities were available within the spa and what packages you can sign up to, in all honesty if I lived closer I would have signed up to a monthly membership there and then. 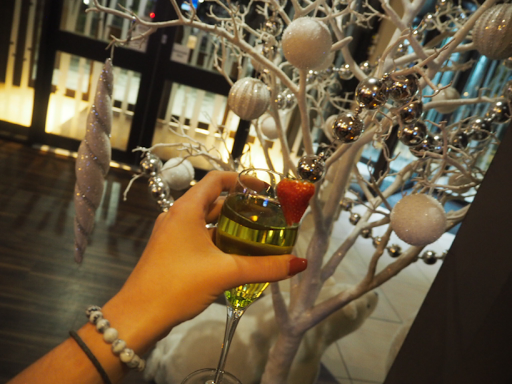 On arrival we were presented with champagne & midori, something I would not have thought to mix together, but surprisingly was really taste, followed with a Fusion buffet from their inhouse restaurant. I've always been a massive fan of Thai inspired food so being presented with Sushi, dumpling, spring rolls and noodles was an absolute treat. Probably wasn't the greatest meal to tuck into before getting into swimwear but never mind ey. After food the lovely ladies of Ramside showed us around their gym, treatment rooms and sleep sanctuary. The gym was full of the latest gym equipment, and had a very modern style, with personal trainers on hand to help you out during the workout. 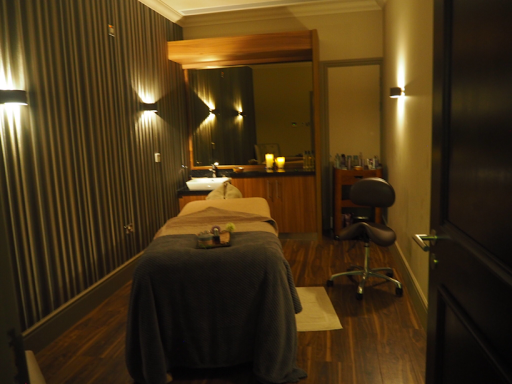 I loved the simplicity of the treatments rooms and loved that each of the treatment rooms was named after different botanics, and each looked so welcoming, that welcoming that I'm already planning my return for a hot stone massage. 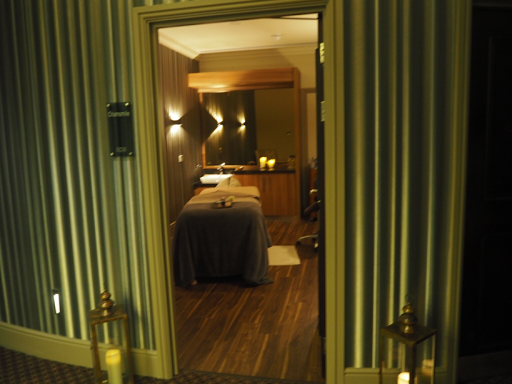 If you haven't had one yet you definitely need to try one, it's by far my favourite spa treatment. 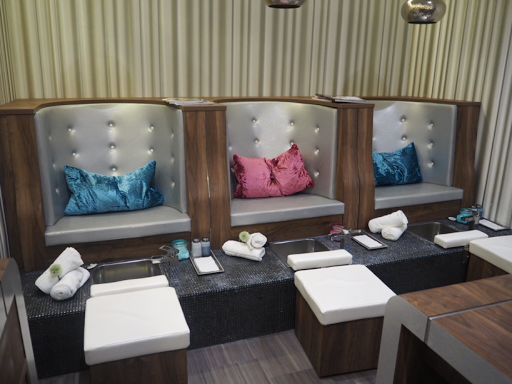 The sleep sanctuary can only be described as pure bliss, a darkened room where you can lay out on heated adjustable beds and cover yourself in layers of soft blankets, house decor inspiration right there. After our tour we were let loose to go off and enjoy the spa facilities. 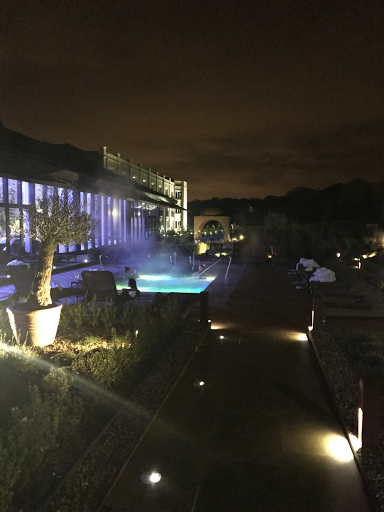 The spa itself was a decent size, it included two indoor pools and one outdoor heated pools, a jacuzzi as well as steam rooms and saunas. I liked that there was a range of different rooms you could go into, as I do get bored after awhile of doing the same thing. 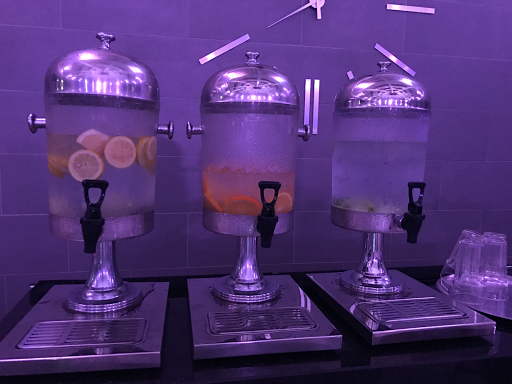 There was also a Complimentary flavoured bar which I felt was a great added touch, you could order alcoholics drinks but I'm not a fan of alcohol when I'm at a spa. I choose to spend quite awhile catching up with some of the girls in the outdoor pool, so great to be able to sit in a lovely hot pool knowing outside it's bitter cold. However that's not so great when you have to quickly exit the pool and run inside, it was a little chilly. As much as we were there working I heard a lot of the girls say it was quite nice to do nothing for a change. 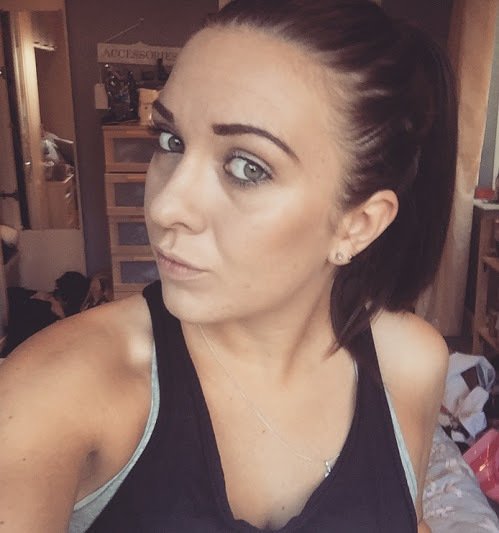 As bloggers the majority of us work full time jobs or have families as well as running our blogs, so we do have crazy busy schedules. It's not often I get the chance to spend a couple of hours doing nothing, so this was a huge treat for me and the others. 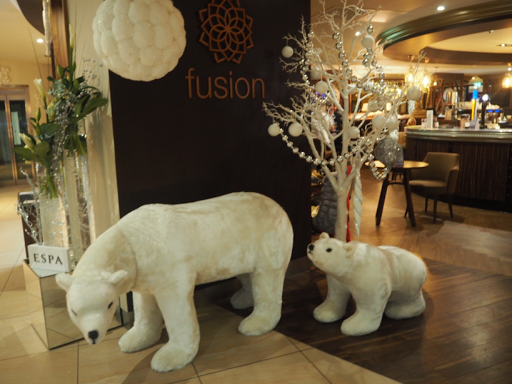 It was also a great chance for us to catch us as a lot of us have made really good friends through blogging, and it was lovely to meet some of the girls I hadn't meant before. 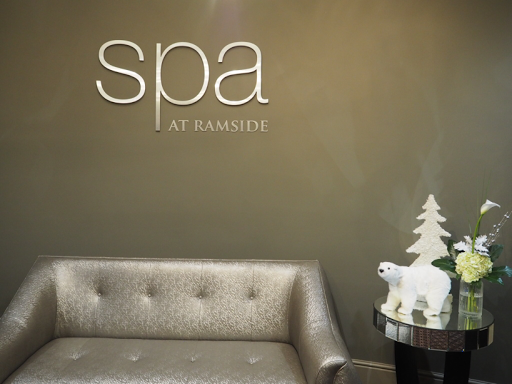 I had such a lovely evening at Ramside Spa and I will be returning in the very near future for more pamper time, if your from the North East and feel like you need to treat yourselves take a look at what Ramside have on offer on their website here.